As promised, here is the follow-up interview with Jeannine Atkins, the author of Becoming Little Women. Susan, Thank you so much for the opportunity to reflect back on writing Becoming Little Women and the fascinating people who inspired my novel! 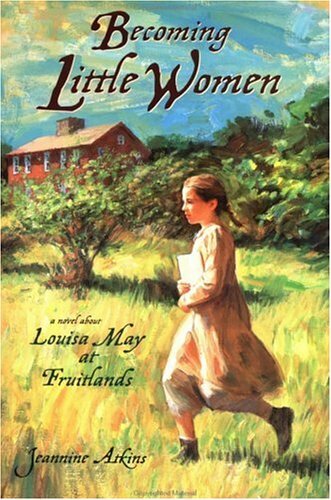 And, always, for spreading your passion for Louisa May Alcott. Someone who is certainly worthy of coming back to again and again. 1. Fruitlands is a difficult topic for adults, what prompted you to write about it for children? Louisa kept journals for most of her life, a habit I expect was important to her writing of fiction. I believe the first journals, at least to survive, are those she kept at Fruitlands. I see this as the beginning of Louisa’s long, productive writing career, beginning at age ten. Particularly in my generation, many girls who wanted to be writers, or dreamed of independence, identified with Jo in Little Women. I’m happy girls still read that novel, and still want to be like Jo, but I wanted to show that Louisa’s writing stemmed from enduring hardships as well as having good times, such as writing and acting in plays with her sisters. 2. How did you research this book? How long did you work on it? Around the same time I was writing Becoming Little Women, I wrote a picture book called Mary Anning and the Sea Dragon about a girl in the early 1800s who became the first person to make a living selling fossils. Mary came from a poor family and left school by age ten. There was very little documentation of her work. Writing about the Alcotts was the opposite experience. Not only all the Alcotts, but it seemed like half the population of Concord, kept journals! I was able to read some from the family (holding original documents at Harvard’s Houghton Library was a highlight of my life) as well as accounts by people such as Ralph Waldo Emerson who visited the farm. I read, while doing other things, for about a year, then wrote and revised for two, maybe three, more years. 3. How does an author become comfortable enough with the history to write a fiction novel based on that history? I grew up in Massachusetts, where I still live, and as a child visited Orchard House with dear cousins (including one named Meg, who is worthy of that name) and Fruitlands. Orchard House was a thrill of recognition for a girl who’d play-acted that book before I read it. But Fruitlands just seemed strange. I did feel haunted by the hot attic with slanting ceilings where the girls slept. I felt, before knowing many facts, how hard that must have been. Writing historical fiction is somewhat like the play-acting of children. You take what is known, and then let your imagination go from there. I did have those wonderful diaries, but a lot was left out. As a historical novelist, I took it upon myself to read between the lines. 4. What inspired you to portray William Lane as you did? Hearing about a boy who’d been separated from his mother and crossed the ocean with a father who was by almost every account grim kind of broke my heart. I tried to find out what happened to William, but ended up facing walls. I do know of biographers who work for years, even decades, trying to track down such information, and thank goodness these intrepid researchers exist. But I took my role as historical novelist to move as far as seemed sensible into research, then let speculation take over. I knew from the journals that William annoyed the girls, but as an adult I could understand the insecurities that might have made him hard to get along with. I tried to write about someone who might boast to try to gain a place in the world, while really being frightened. I thought back to a boastful, bossy boy in my neighborhood: as an adult, I can see things I didn’t as a child about why he might have acted as he did. 5. Anna seemed more normal, rather than saintly, in your story. How did you come by that portrait of her? What we have of Anna’s journals are elegant, and the family thought she would be the writer. Sadly, her journals from Fruitlands were destroyed by her father (he also destroyed his own from that sad time). But that tells me something about Anna’s capacity for truth and description. It seems clear that the three oldest girls worked hard to please their parents. From Louisa’s viewpoint, her older sister managed her temper better, and her admiration of that led to a portrait as sweet. But Anna longed for stability, and while she loved her family, surely it irked her to move so often and be asked to live so differently from neighbors. She really had to marry and have children to get the domestic life she dreamed of. And as a child, I expect she took out some frustration on her younger sisters, because she would never act out with her parents. 6. How do you feel about Bronson and Charles Lane? Their ideals are admirable, but I really couldn’t stand these men. It was hard to understand how they couldn’t see the suffering of Abba and the children, or make this of less importance than their lofty goals. Louisa probably began to question her father at this time, but she always loved and defended him; one of my hardest tasks was to try to see him through her eyes. 7. Do you have a favorite scene or moment in the book? I wept my way through much of writing the ending. 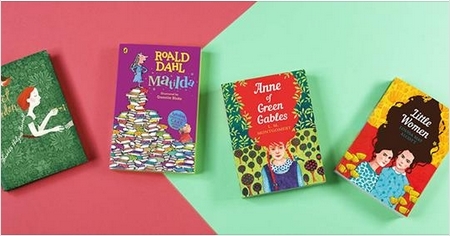 A book for children should end with hope, I think, and of course there was always hope for Louisa. She spun gold out of difficult situations. I was glad to find a way to show how the anger she struggled with could also bring her some salvation. 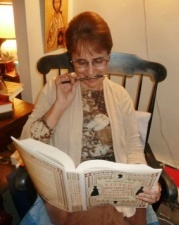 To find out more about Jeannine and to purchase her books, visit her website at www.jeannineatkins.com. 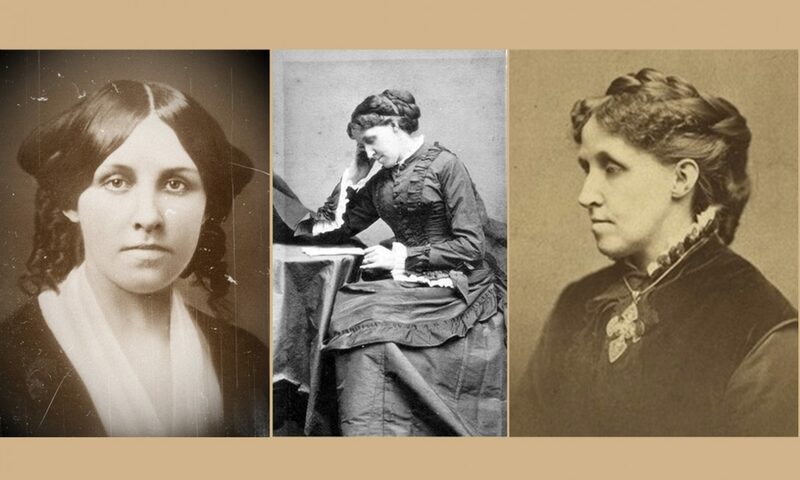 Are you passionate about Louisa May Alcott too? I love our Mr. Atkins, and what she teaches us. I meant MS. Atkins. Oh good goodness. This fever/flu has gotten the best of me. Love this interview! Liked Jeannine candidly admitting to not liking Bronson and Charles Lane.